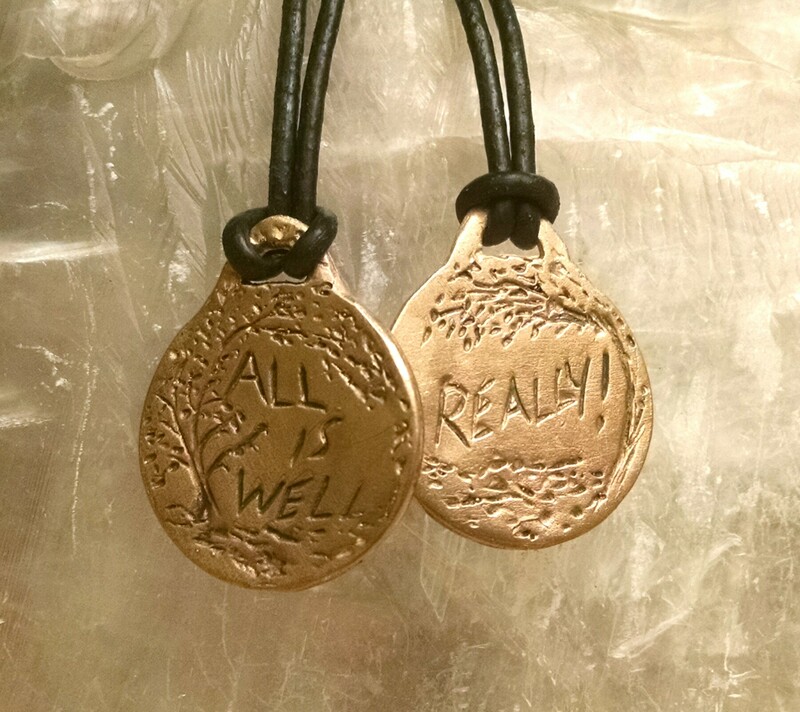 The “All is Well” pendant is a gift to uplift and a wonderful reminder to stay present, appreciate life and the gifts in all guises each day brings. 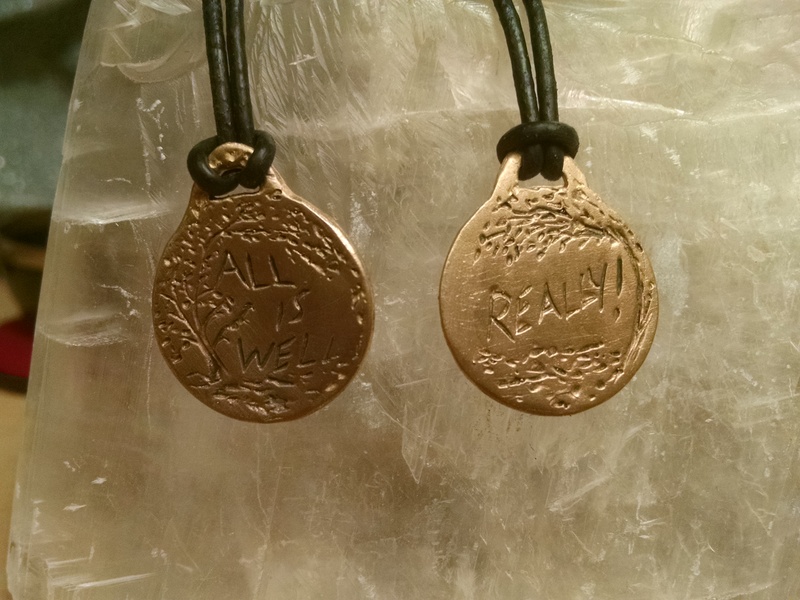 The front of the pendant states: All is Well. The back of the pendant confirms: Really! Designed by Miché Meizner. Bronze pendant comes ready to wear on a black cotton cord. Shipping in US is flat rate priority $6.00 per package. Buy several pendants and save. This pendant is crafted in a deep rich golden shade of Bronze. 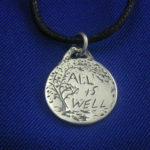 ” All is Well,” a core message in so many spiritual teachings. The pendant features the image of a tree – peaceful, graceful, grounding. 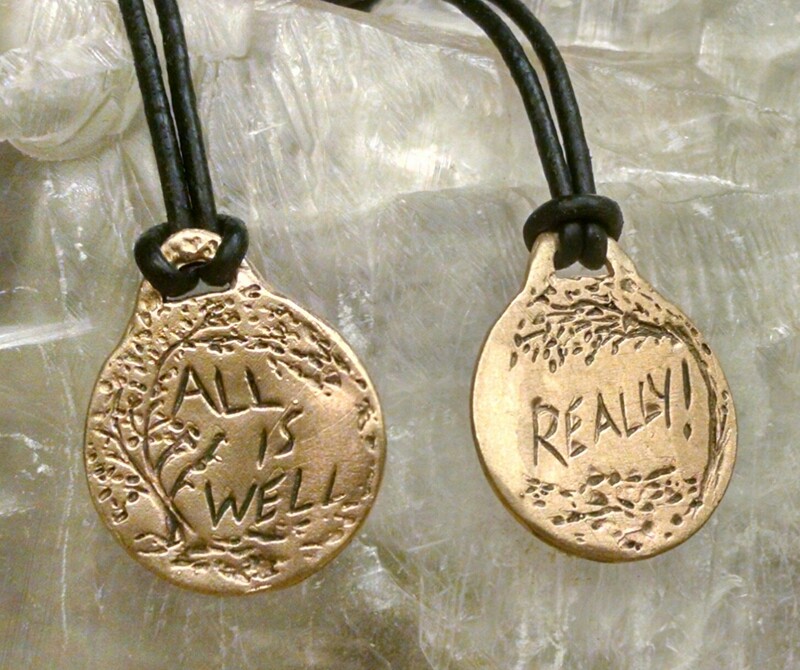 The back of the pendant states, “Really!” as a reminder to override doubt as it creeps up. 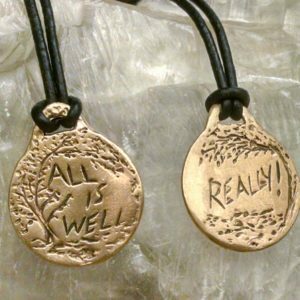 The All is Well pendant is a wonderful reminder to stay present, appreciate life and the gifts in all guises each day brings. Carved and oxidized to give the piece an ancient look for the ancient wisdom that it represents. Approximately the size of a quarter. Each pendant comes ready to wear on a black cord. Note – the bronze may darken with wear as it reacts to contact with your own body chemistry as it comes in contact with skin, moisture, oils, etc. Pendants can be cleaned and color restored with silver polish or a good jewelry polishing cloth.